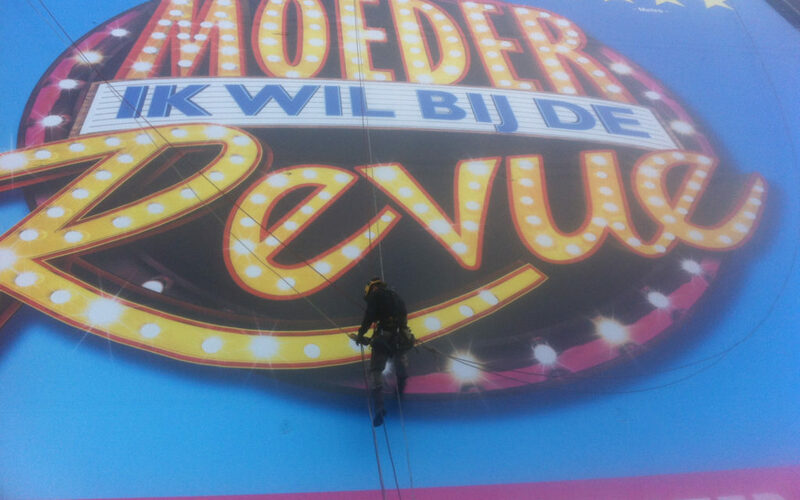 Height Specialists has become great with the placement of advertising banners for all intensive purposes. 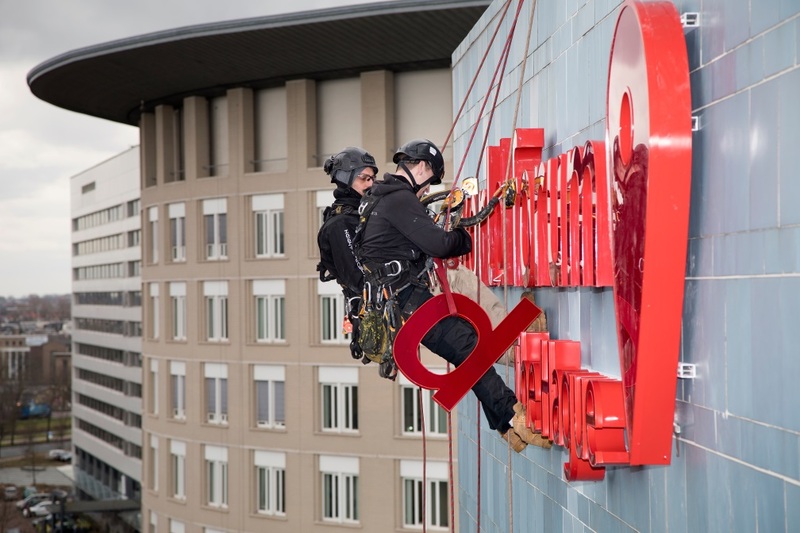 By using rope access at complicated work locations, we were able to work with clients to ensure that advertising campaigns were very successful. Also within the advertising and promotion world, expectations are increasing. Height Specialists has constantly grown with the development of this market. We are able to think along with your campaign and contribute to its implementation. ”Every job with Height Specialists is great, no matter who you speak to: everyone is skilled, enthusiastic and involved. A great company to work with”.